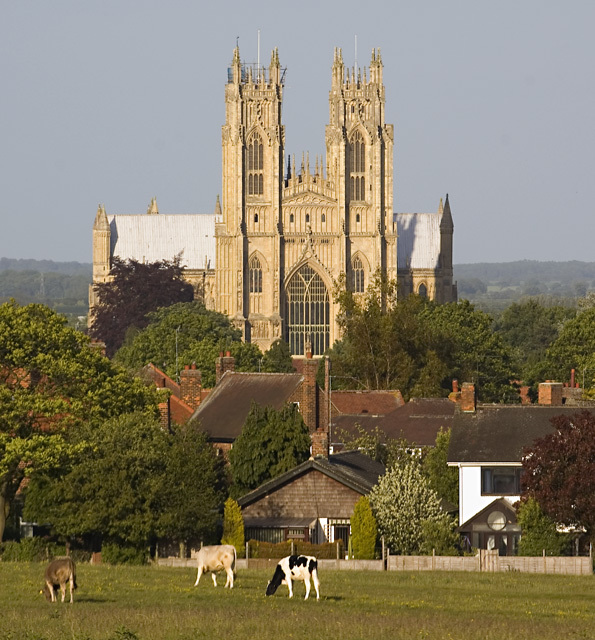 The classic view of the Minster, showing the twin west towers, seen from the Westwood pastures, one of several areas of common land around the town. The Minster was built between 1220 and 1425 of limestone, mostly from Tadcaster near York. This page has been viewed about 289 times. Should this view not be renamed Saturday Market place? Or is this Wednesday market place? I cannot recall which is which. However the building on the right of the photo at the front is commonely known as " The Push" Its an off licence and a pub.